Tortilla Crusted Chicken is like Mexican inspired chicken tenders. They take 30 minutes to make and they are perfect for dipping with salsa or over a salad! 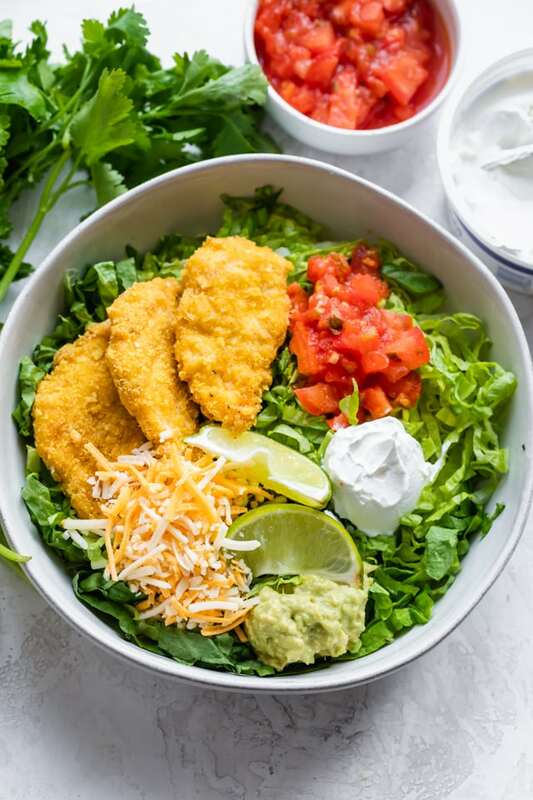 When you want chicken nuggets but also want tacos, you mix them together to get these Tortilla Crusted Chicken! 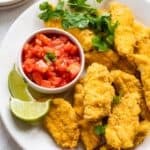 This is a fun recipe for kids, especially if they like chicken tenders and you’re trying to introduce them to new flavors. The cool thing about it is you can basically use any tortillas or tacos you have. So it’s a great way to use up any leftover tortillas you have. And if you’re watching the Super Bowl this weekend, these are the perfect finger food to make! 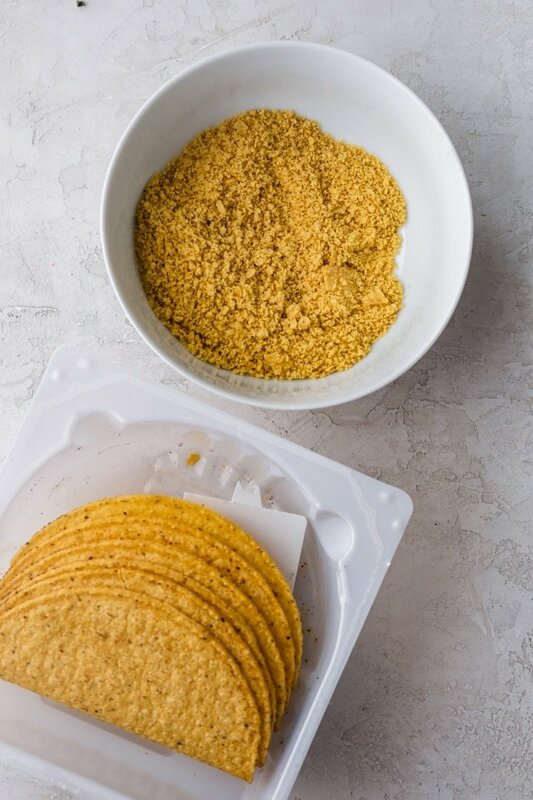 To start, you’ll want to crush some tortillas or tacos until they’re fine and look like breadcrumbs. You can do this by placing them in a plastic bag and crushing them with the back of a wooden spoon. I found it easiest to just use a blender and crush them in seconds. Next is the normal dredging process. Start with flour, then beaten egg and finally the crushed tortillas. 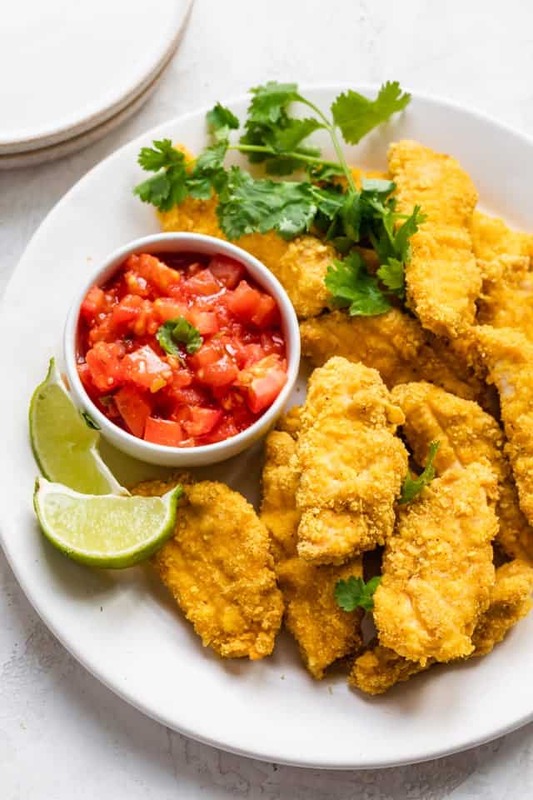 It’s very similar to any other dredging process and your fingers will get fun and dredged in the making these tortilla crusted chicken tenders. But it’s totally worth it! 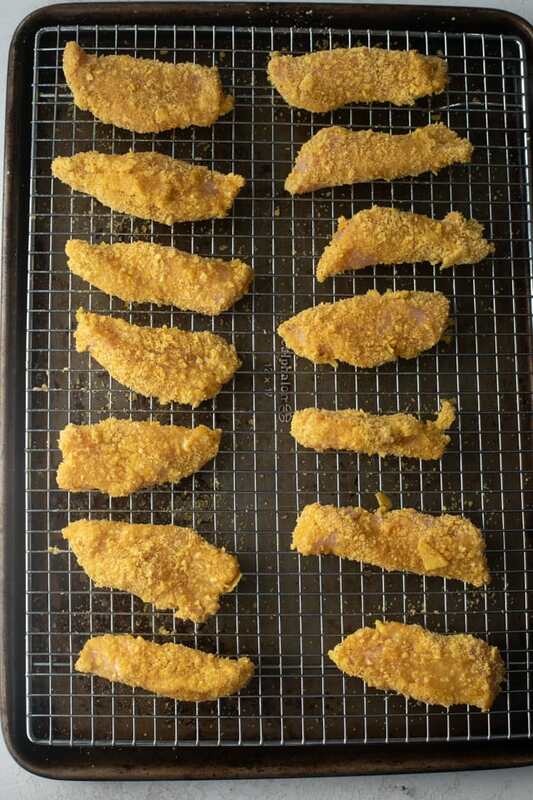 After you coat the chicken in the mixture, place them on a wire rack with at least 1 inch of space between them. 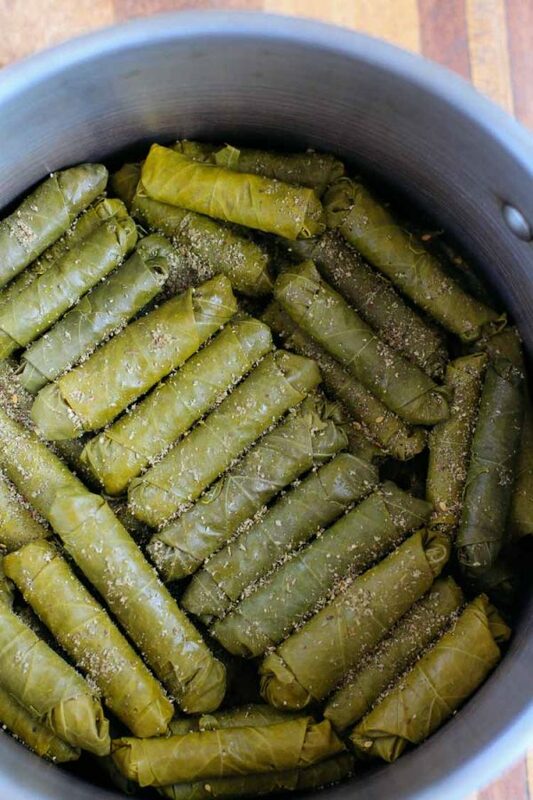 Then spray them with olive oil and bake them in the oven. They’ll be nice and crunchy on the outside and perfectly juicy on the inside when done. You can basically enjoy these as is, with salsa, with ketchup or ranch dressing. My kids just ate them as is. They are great finger food for a party, and work so great for game day! If you have any leftover or want to make it part of a healthier meal, try adding it to a salad. I just added lettuce, salsa, sour cream and guacamole with some shredded cheddar cheese. It’s the taste of chicken tacos in a chicken nugget form. And I haven’t found anyone who doesn’t love them. The texture is crispy on the outside, tender on the inside and pure yumminess all over. So it’s really hard to eat only one. Get creative with it and use any tortillas or taco shells you want. 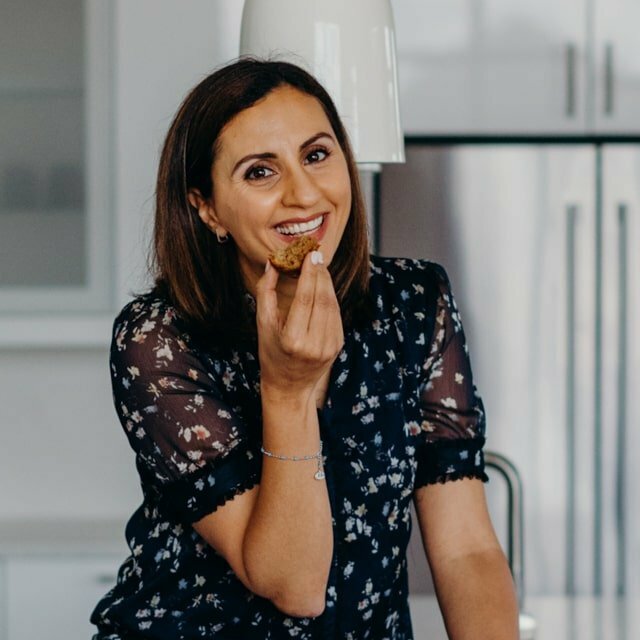 It’s a very forgiving recipe that you can experiment with and customize to your liking. 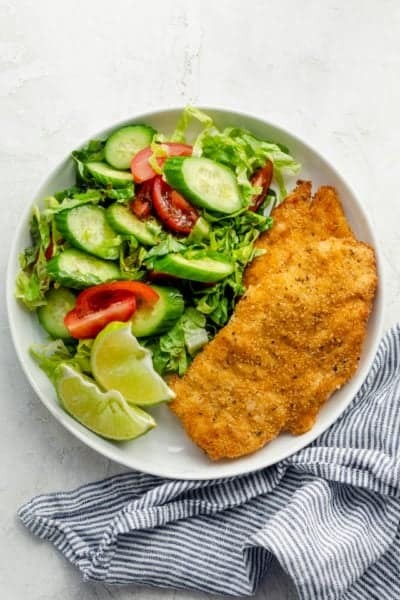 If you’ve tried this feel good Tortilla Crusted Chicken recipe or any other recipe on FeelGoodFoodie, then don’t forget to rate the recipe and leave me a comment below! I would love to hear about your experience making it. And if you snapped some shots of it, share it with me on Instagram so I can repost on my stories! Preheat the oven to 400°F. Sprinkle chicken with salt and pepper. Crush the tortilla chips with a food processor or blender. Set aside in another bowl. 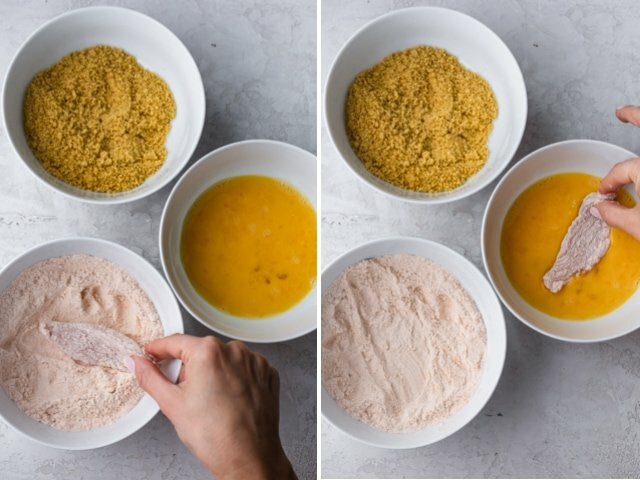 Dredge chicken tenders in flour mixture, shake off the excess, dip in the beaten egg, and then coat evenly with the tortilla chips. Lightly coat chicken on each side with cooking spray; arrange chicken on wire rack. Repeat the steps until all chicken are coated. Bake for 15-20 minutes, flipping halfway through. 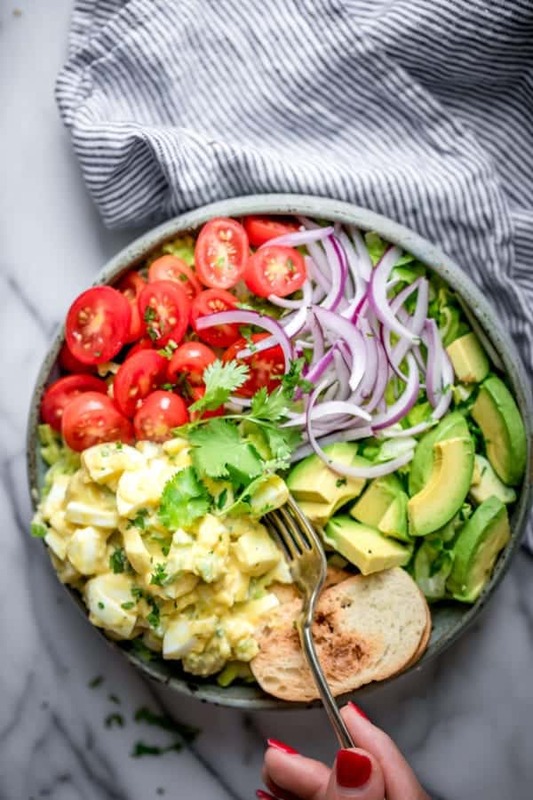 To assemble taco bowl, fill it with lettuce, add the tortilla chicken, top with tomatoes, shredded cheese, sour cream and avocados. Serve with lime wedges. Substitutes: For best results, follow the recipe as is. 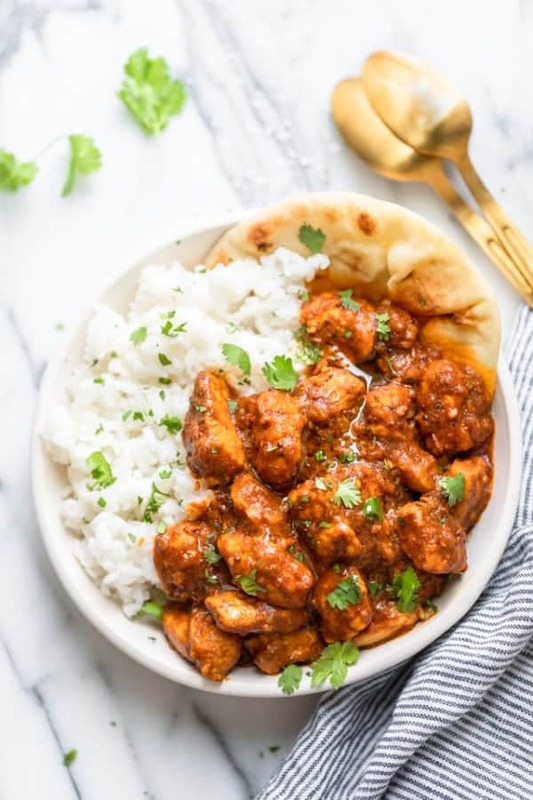 However if you want to make this flour and egg free, you can simply coat the chicken with olive oil and then dredge it in the crushed tortillas. Equipment: While you can crush the tacos in a plastic bag or by hand, I think it's faster in a blender or food processor. 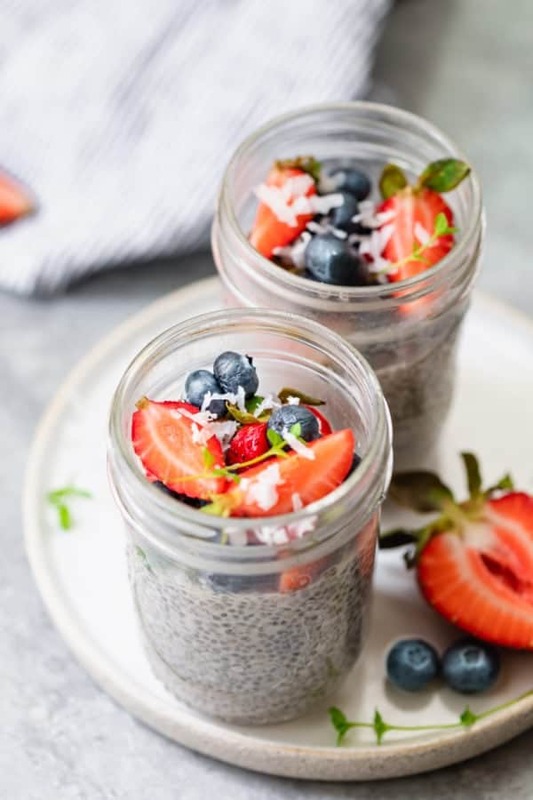 I used my Vitamix for this recipe. It crushed them instantly and they were all the same size. My next smoothie tasted like tacos, but that's besides the point! haha! Nutrition: Please note that the nutrition label provided is an estimate based on an online nutrition calculator. It will vary based on the specific ingredients you use. This information should not be considered a substitute for a professional nutritionist’s advice. The nutrition value is for 2 servings of the chicken tenders without the salad or any toppings. Looks good, I’m gonna make this for dinner tomorrow night . Thanks so much! Hope you liked it! !